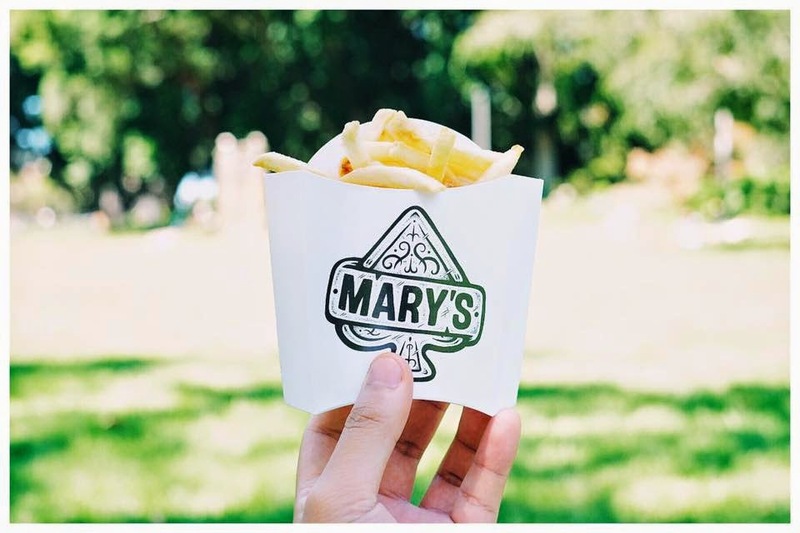 The Mary's from Newtown has now branched out to Sydney's CBD and is simply a burger joint that sells about 5 burgers each costing $10. If you make it a meal, it includes a cup of chips and a soda, which makes it $15 altogether. Upon arrival there were no signs on the outside or anything that made it blatantly obvious where the burger joint was, but luckily there was a large line leading out from the storage space where the restaurant is placed. There are no dining tables or chairs, just a soda machine by the left and the cashier area that proceeds infront of the kitchen with very minimal decor. For today, I ordered the cheeseburger meal to which took about 10-15 minutes of waiting time to receive due to the long waiting line. Once received, my friends and I proceeded to walk towards the nearest park to which we enjoyed our burger meals. I've got to say, my cheeseburger tasted much like the ones from Maccas but better and the burger was a little bit larger with a real beef patty being served. Each beef patty was cooked to medium rare, and the burger altogether was quite flavoursome. However, I found that the beef patty had random, tasteless chewy bits dispersed throughout the patty that I didn't find very delectable but at least they were, to some extent, tolerable. The chips are also very much like Maccas as they are thin, salted just to the right amount and were delicious. Overall, it was a nice experience, but I personally wouldn't go back unless the random chewy bits within the patty disappeared because it really was a nice burger but definitely not the best burger I've ever had. My friends rather enjoyed their burgers (Mary's burger and the chicken burger) to the point where they say that they'll definitely be back for more, although, I can't say the same.